We ask that you please take the time to make this decision. 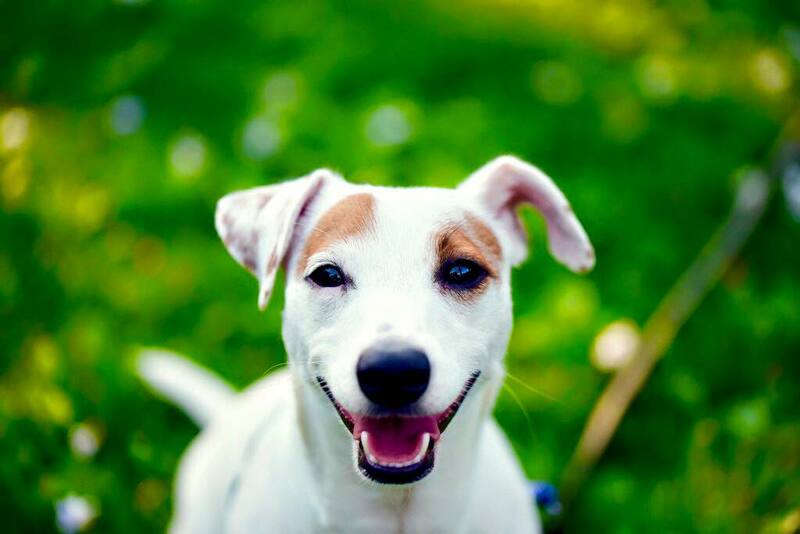 Ensure that it's not only the right breed for you, but also, that we are the right jack russell breeder for you. If you are not sure you want a terrier or you have reservations for any reason at all - please do not place a deposit. Wait until the time is right. 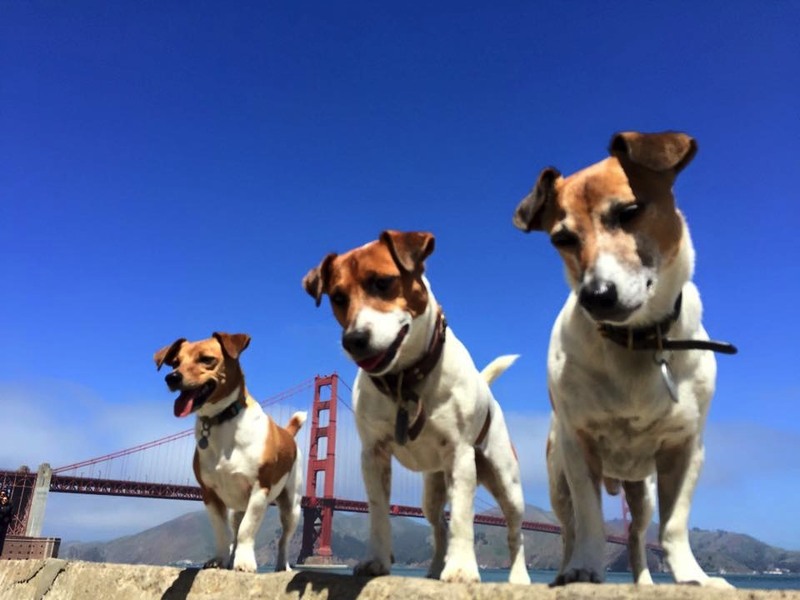 Or give us a call and we can help you determine whether a terrier is a good choice for you. The deposit amount is $500. This deposit is non-refundable as soon as it is placed. If you place a deposit and then change your mind, we will be happy to move it to a later litter for you, for up to two full years after placed. With that said, we have worked with families who needed to wait a little longer…as long as you stay in touch, we will extend this to a full three years. Staying in touch means dropping us a note every six months or so to keep us updated. To be clear about moving deposit out to a later litter once the pups have been whelped (born) and you are waiting to pick your puppy: If you placed a deposit on a specific litter and want to move the deposit, you can do that anytime, before the litter is five weeks of age. Once the puppies are five weeks of age, your deposit is considered committed to that litter. In other words: If you wait until the pups are older than five weeks and then decide you want to wait, you will forfeit the deposit. *The only time you will NOT forfeit the deposit would be if on ‘picking day’ there is not a puppy in the litter that is suitable for your family. If that happens, we will work with you to find a litter that is more suitable for you. 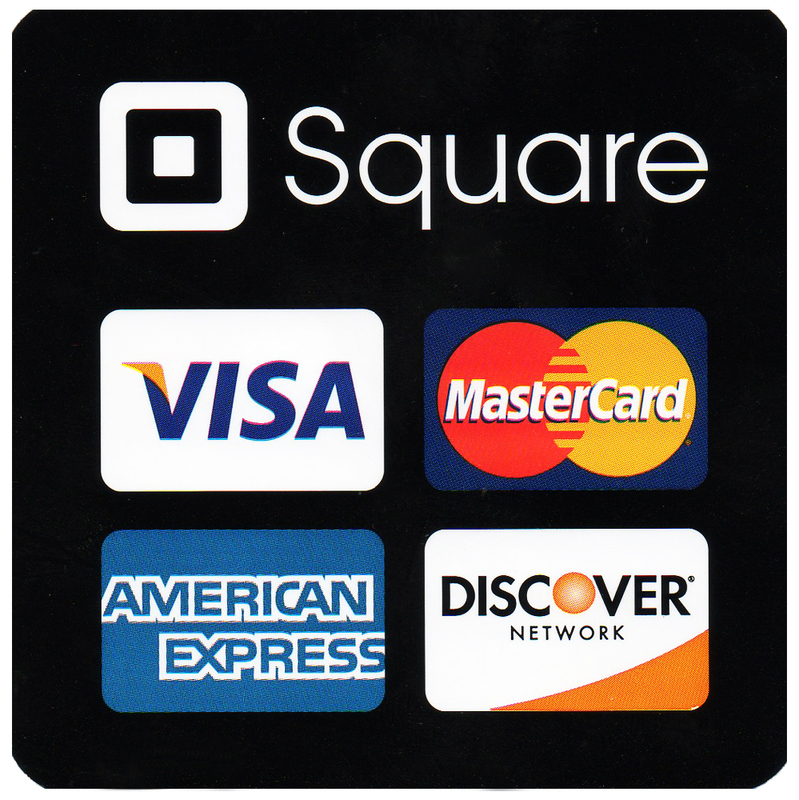 If you have any questions about this, please ask us first, before placing your deposit. While we think our dogs are great, they are not suitable for everyone. 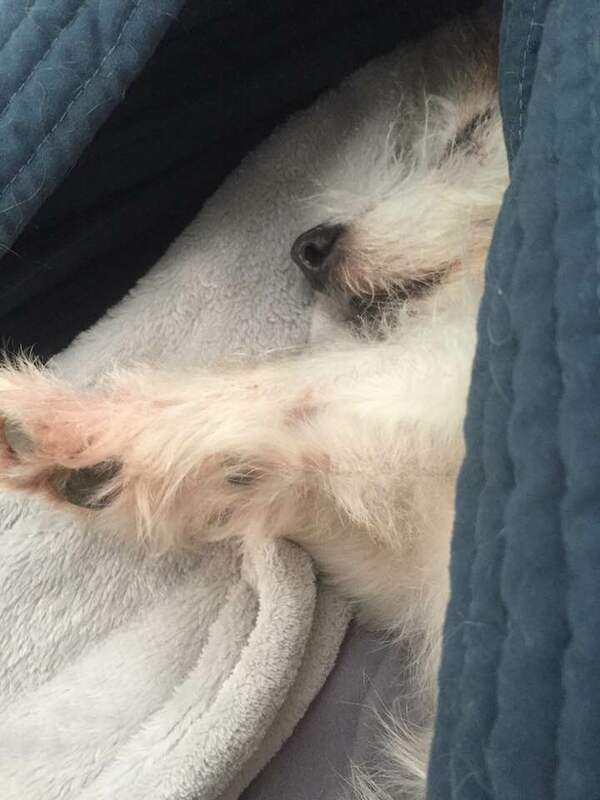 We will do our best to not place puppies in homes we do not feel suitable for a terrier. When placing our puppies, we are looking for suitable, forever homes. A "forever" home to us means that you want the pup long term. It means you are prepared to put the work into the pup. You need to be willing to train your new puppy. We also ask that new families be committed to following our recommended diet as well as vaccine schedule. All of this information is on our website - please take a look at it or ask us to clarify. We are here to help you every step of the way. If you have any questions concerning the above, please ask. We will continue to be a valuable resource to you for years to come. If for any reason years later, you find that you can no longer keep your dog, we should be the first on your call list as we can and will assist you in rehoming. You will always be able to hold us to our word and to any agreement we have entered into with you. That means now and any time during the life of your terrier. We only ask the same in return. So again: Once you place your deposit, it becomes non-refundable. That’s the agreement. "Orlagh" Boating in Maine. 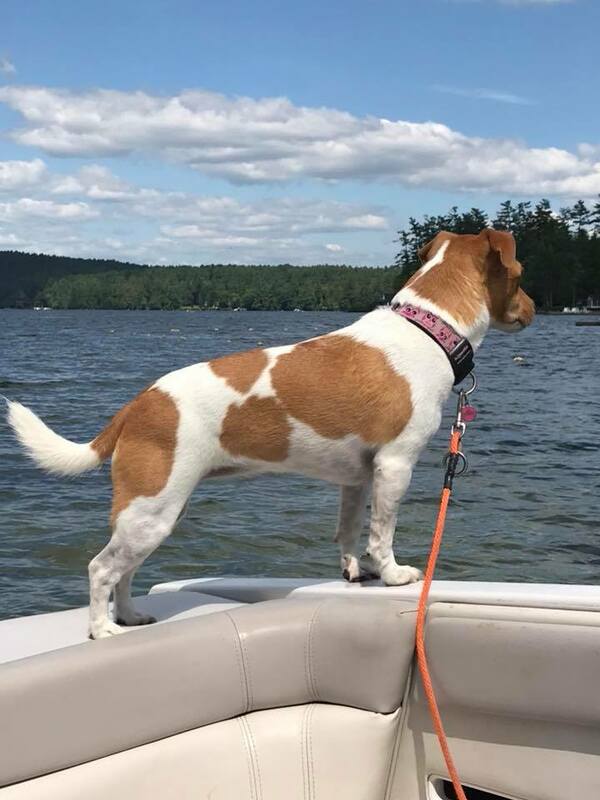 Most Jack Russells are fearless and love to go boating. "Orlagh" and "Teagan". Play date in Owls Head, Maine. 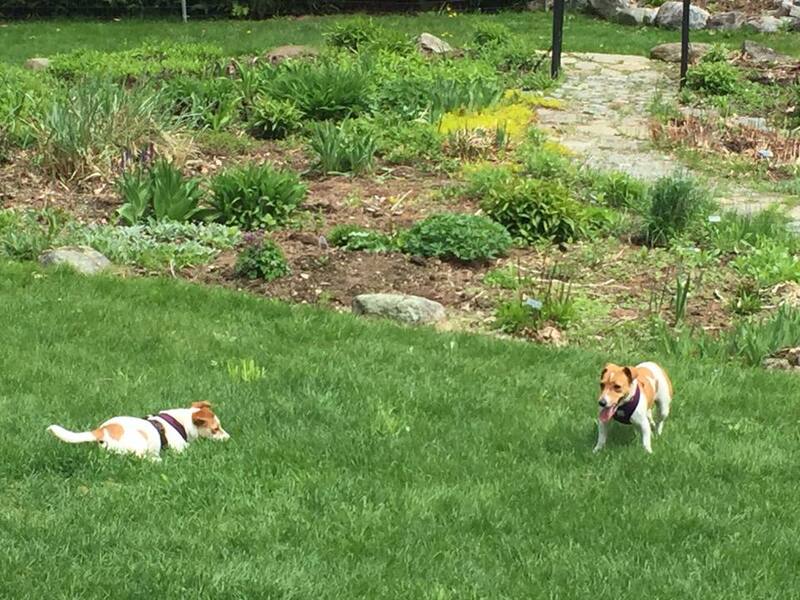 It's important to continue play dates with your jack russell as often as you can. Socializing is so very important.